The aerobic threshold is the point where exercise intensity increases enough that the body can no longer supply enough oxygen to cover its total fuel utilization. As work rate increases, the body’s big muscles (let’s call these “exercise muscles” for short) start working harder and harder, increasing the fuel and oxygen demand. More oxygen has to be pulled in, and so the breathing muscles—diaphragm, muscles around the ribcage and various shoulder muscles—also have to work harder. But these breathing muscles have their own oxygen demand. So the more they (and the exercise muscles) work, the more the overall demand for oxygen rises. This can’t go on forever: if the overall demand of oxygen rises, the breathing muscles have to work even harder to meet it. What’s happening? The harder the body works to meet its oxygen demands, the greater they become. At the point at which these demands start to rise in tandem, it’s essentially impossible for the body to cover all of its fueling needs with oxygen. The body then has to start consuming fuel without mixing it with oxygen (also known as anaerobic activity). This means that there’s a sweet spot just before this tandem increase where the exercise muscles are working somewhat hard—but not hard enough that the breathing muscles have to work significantly harder and dramatically increase their own oxygen demand. This sweet spot is the aerobic threshold. Note that this is nowhere near the maximum ability of the body to supply and utilize oxygen (also known as VO2Max). The body can still increase the breathing rate, expanding and contracting the lungs much more and much faster, and it can still increase the heart rate to pump oxygen-laden blood everywhere it needs to go. Conceivably, it could be pulling in and transporting oxygen at twice the rate (and using it to burn twice the fuel). But doing so would itself have extraordinary oxygen requirements. The body can’t approach its VO2Max and still be spending less oxygen than it is requiring (a.k.a. still aerobic). The aerobic threshold is critical from a physiological perspective—much more important than the anaerobic threshold, for example—because it is the point where the body has the first reason to worry about its oxygen supply. Anywhere from resting to the aerobic threshold, the body is A-OK. It can essentially continue doing whatever it is doing ad infinitum: it has enough fuel and oxygen going to all of its systems (brain, organs, muscles, etc.) that they are at no risk of shutdown. Above the aerobic threshold, the game changes: the further you get, the less the body is able to sustain that rate of activity indefinitely. The further above the aerobic threshold, the farther the body is from the conditions that allow it to remain alive over the long-term (e.g. oxygen to cover its entire fueling needs). Above the aerobic threshold, you’re on Everest. You’re in the Death Zone. You literally don’t have enough oxygen to just keep on doing whatever you’re doing. It’s OK to be up there for a while (and there’s benefits to doing so), but if you don’t come down, you’re gonna die. (And just like on Everest, if you go up there more often than you can recover from, you’re going to get sick). If the body is doing anaerobic stuff too often, it just won’t be able to recover—and keep on breaking down. Training under the aerobic threshold has all kinds of benefits that you just can’t get training above it. To stay under the aerobic threshold, the body has to be able to bring oxygen all the way into the muscles to cover every bit of its energy demands. While this may seem too obvious to mention, it actually hides a critical point: in order for oxygen to make it all the way into the muscles, it has to get handed down a long ladder of systems, organs, and processes. The lungs have to fill up, and they have to hand the oxygen off to the red blood cells in the bloodstream, which then have to get pumped through the bloodstream and through the capillary networks into the muscles. (This chain is the aerobic system). The amount of oxygen that makes its way down to the muscles at any given time is determined by the weakest system in the body (and not the strongest). Let’s say that the lungs have capacity for lots of oxygen, and the red blood cells can carry all that oxygen, and the heart is powerful enough to pump all that blood around the body, but the breathing muscles aren’t very strong. It won’t matter how big the heart or the lungs are, or how much red blood cells are in the body. The body will have to drive those lung muscles extremely hard in order to get the oxygen it needs. (And its oxygen requirements will go up, and boom it’s above the aerobic threshold). The more you train under the aerobic threshold, the better the body gets at handing oxygen from the nose all the way down to the muscles. In technical terms, this means that aerobic training strengthens the vertical integration of the body’s aerobic system—“vertical” as in all the way up and down the oxygen ladder. If there’s a really strong part, it won’t develop much until the weaker parts (that were constraining oxygen flow) catch up. So aerobic training really evens out the body in terms of its ability to transport and utilize oxygen. Anaerobic training does exactly the opposite. Anaerobic activity literally starts because the body’s rate of exercise exceeded the oxygen transport capabilities of the weakest system. Training anaerobically means that you’re committing to run the body harder than it has the oxygen for. So the systems that are already strong enough to take the body above the aerobic threshold get stimulated. They get trained, and they get even stronger, while the other systems lag behind. The asymmetry grows, and the athlete grows less resilient, not more. If you keep doing this too long and too often, and without making sure to train the vertical integration of the aerobic system, you’ll eventually train yourself into a situation where the least capable part of the body gets neglected, and the most capable part of the body gets powerful. And since that less-capable part was a critical piece of the oxygen puzzle, the body’s ability to use oxygen remains exactly that neglected. When the whole oxygen chain is strong, aerobic training is awesome. But when there’s one really weak part, aerobic training can be super slow and super boring. But that’s also why it’s so important. PS: In my next post I’ll discuss how muscle mitochondria—the body’s tiny aerobic motors—relate to the aerobic threshold and to aerobic training in general. What kinds of workouts you’re supposed do. How long those workouts should be. How long you have to train before you’re ready. Answering these questions is very difficult (if not impossible). Everyone is different, and begins their training at a different point. How do you know that a body is ready for a marathon? This question is much more useful. Why? Because being ready for a marathon is the same for every human. The catch is that how to get there might be wildly different from one person to the next. For one particular person, your basic marathon training plan might be exactly what they need. Someone else may need to train for much longer, or with less intensity (or both). For yet another person, it might not include a crucial element that particular person needs—an element with which the training plan might work perfectly. You’ll find that when you genuinely ask the above question—and truly inquire as to what it takes for a body to be physically and physiologically ready to run a marathon—you’ll inevitably conclude that ninety-five percent of the people who do cross the finish line of a marathon were not prepared to run the race. I believe that one of the most important reasons that injury and illness is so rampant in the marathon is NOT because the marathon is inherently injurious, but rather because it is so physically and physiologically demanding—and the vast majority of people who run it have not achieved the capability of meeting those demands. A major goal of mine in life is that people do NOT get injured running a marathon (or any other race). And I believe that a first step in that direction is to help people understand what “being ready for a marathon” really means from a physical and physiological standpoint—beginning with the idea that there is such a thing as being “marathon-ready.” Only then can we genuinely expect ourselves—the individuals who constitute a modern athletic culture—to face a marathon with every expectation of success. You must be able to sustain a cadence of 180 spm for the entire marathon distance. It is said that 99% of the energy that you use to run a marathon comes from the aerobic system. This means that you must be able to run the race at an overwhelmingly aerobic intensity. How fast? To be able to run the marathon distance at a pace that is 15 sec/mile faster than their speed at aerobic threshold. You must be able to produce a cadence in the ballpark of 180 spm while running at a pace that is 15 sec/mile faster than your speed at aerobic threshold, and maintain it for the duration of the marathon. There’s another way to look at this issue: how much someone needs to be able to sustainably train in a given week to be reasonably certain that they can run the race. Sustainably means that there is no increase in stress, no nagging pains, and every reason to believe that the body can continue to train at that rate without injury. A volume of twice the race distance (50-53 miles). An intensity that is exclusively aerobic (under the aerobic threshold). *A good way to estimate the aerobic threshold without the need for a laboratory is by using Dr. Phil Maffetone’s 180-Formula. The 180-Formula produces the MAF HR, or Maximum Aerobic Function Heart Rate. All training is under the MAF HR, and cadence remains relatively close to 180 spm. There are no guarantees in life. But if you can run an easy week like this, I can be reasonably sure that you’re ready (or almost ready) to run a marathon. How to work up to this, and how to navigate the many pitfalls and angles of the journey, is the hard part. Part of why I rarely give training plans or talk about these requirements—popular demand has essentially forced me to—is because you can’t really meet them if you haven’t ironed out all of the physiological, biomechanic, and neuromuscular issues your body may have. And even if the prospect of running a marathon has never been in your sights, once you do iron out enough of your body’s athletic issues, you’ll find that going on 25-odd mile, easy long runs every month has become a fact of life. You’ve become familiar with the distance—and the idea of running it a little faster with a lot of other people seems as simple as that. Understanding the gears of the human drivetrain: energy systems and some of their training and racing applications. Not long ago, I read an article from Outside Magazine which mentioned an elite cyclist who eschews heart rate monitoring during training in favor of power meters because “power is objective.” While I like power meters and I think they are an important tool in our (presumably much larger) athletic toolbox, I take issue with this view. While a power meter tells us exactly how much power the body is putting out, it doesn’t tell us a lot about how the body is arranging for that power to be produced. That’s a problem. The body has 2 main energy systems, both of which are used in varying amounts during a bout of activity: a capability to create energy by breaking down glucose, or sugar (call this “LO gear”—producing the low-end torque needed for power and acceleration) and a capability to create energy from lipids, or fat (call this “HI gear”—producing the high-end torque necessary for endurance). LO and HI gear can be subdivided into more energy systems—ATP-PC, anaerobic glycolysis, glucose oxidation, fat oxidation, and ketosis—but I believe that the beginner (particularly the beginner distance runner) should first master the distinction between fat and sugar usage, and how to apply it concretely to training and racing. As I’ve discussed before, our heart rate is hardwired to our stress levels (a.k.a. the intensity at which our body is operating or expects to operate), and therefore to whether we are breaking down sugar or breaking down fats—in other words, which gear we are using at any given time. The higher our heart rate, the more we are using the LO gear necessary to produce lots of power. The lower our heart rate, the more we are utilizing the HI gear necessary to sustain activity for protracted periods of time. This doesn’t mean that we are burning the most fats when our heart rate is lowest—it just means that the greatest percentage of our energy comes from fats. By increasing our heart rate from its lowest point, we increase the amount of fats burned until the requirements of the task (as reflected by the heart rate) are high enough that a threshold is crossed—and the body is forced to switch to sugar in order to produce the necessary power. Consequently, the problem with the power meter is that it doesn’t tell you whether the body is getting this energy from LO or from HI. The issue is simple—and it’s the very same one you would have if you’ve ever tried to go on a long roadtrip with a car that doesn’t shift up above second gear: you’re going to run out of fuel, blow the engine, or both. During a marathon, just like during a road trip, your success depends on how well you’ve developed HI gear. Nobody argues that power (from LO gear) is incredibly important in a marathon—I often quote Owen Anderson, author of Running Science, who (in my opinion) famously said that “the marathon is a power race.” But the ability for you to get to the finish line (which is a precursor to racing to the finish line) is predicated on how well you developed HI gear. “Hitting the wall” is a ubiquitous experience in the running community. I myself have hit the wall a dozen times. It’s almost a rite of passage—the badge of a “true” endurance athlete. It also means that muscle glycogen (a.k.a sugar) was depleted too soon: the runner was utilizing LO gear too much, and ate through all its fuel. Supposing that 60% of entrants at any given marathon are hitting the wall—although it wouldn’t surprise me if the real percentage was far higher—there is an epidemic of runners who despite their best intentions and best efforts, either (1) have not developed HI gear well enough, or (2) do not understand how to pace themselves in order to use just enough LO gear to go fast but not enough that they bonk at the halfway mark. How do we factor this into training? Let’s use the most classic bit of marathon training as an example: the long run. Since the marathon is a HI gear, fat-burning race, then we have to make sure that our long run is being fueled primarily by HI gear. Suppose that some runner X has enough glycogen stores to fuel LO gear for 14 miles. If she’s been using LO gear to fuel the majority of her efforts up to the 14 mile mark, then she hasn’t really used HI gear to run even 1 mile. This marathoner doesn’t really have a robust, well-developed HI gear to switch to. For her, a 14 mile run and a 16 mile run are extremely different experiences. The 14 mile run can be performed well with a powerful LO gear, but as soon as she bumps the distance up to 16 miles or more, her speed will drop dramatically—particularly towards the later miles. (Marathon pace for the elite runner is only a few seconds per mile slower than half-marathon pace. In contrast, marathon pace for the recreational runner may be a third slower than half-marathon pace). The problem isn’t that she hasn’t trained the mileage itself, but rather that the energy system that is supposed to handle high volumes of mileage was never really developed—so when she bumps up to a mileage that requires that fat-burning energy system, she grossly underperforms relative to her expectations. Considering how many marathoners hit the wall, I believe that most of us don’t train HI gear on most of our long runs. This doesn’t mean we shouldn’t train LO gear or run long and fast in preparation for a marathon. It means that we need a reason for doing so—and we need to know when we’re crossing the threshold. Power meters aren’t enough. We need heart rate monitors: we need a window into what’s happening inside our body in real time. NOTE: This is an unusually journal-entry-ish post for me. But I think it has some pretty useful concepts. I hope you like it. (Any mention of today refers to Friday, Sept 18, 2015). For about 2 months now, I’ve been building my aerobic base under the MAF (Maximum Aerobic Function) principle, proposed by Phil Maffetone. I’ve seen an improvement of about 1 minute to my MAF pace—the speed at my aerobic heart rate, which is 148—and yet, I feel like today is the first day I really understood what running MAF is like. The idea behind MAF training is to lower the intensity at which we train, in order for the aerobic base to kick in with theoretically no anaerobic function. This removes the majority of chemical stress associated which exercise, which comes from the release of hydrogen ions (H+). These ions acidify the body and create an added burden for recovery. Training under this “aerobic threshold” allows the aerobic base to be developed quickly and efficiently. Typically, 3 to 6 month long period of exclusive MAF training strengthens the aerobic base to the point where it can efficiently absorb the stresses of high-intensity (anaerobic) exercise. And honestly, I often feel exactly that way. It’s as if everyone (myself included) is trying to negotiate their way into a higher heart rate—thinking it is the highest possible heart rate (aerobic or otherwise) that will bring the most benefit. I constantly tell commenters what it has taken until now for me to truly absorb: we have to lower the intensity to maximize the aerobic benefit. Trying to always be right on top of that aerobic threshold—what I’ve decided to call greenlining (as a riff on “redlining”)—is that very same high-intensity mentality, haunting a game that’s all about going low, not high. Don’t get me wrong: when I run MAF—usually 1 hour, 5 days a week—I scrupulously bookend my workout with 15 minutes of warm-up and cool-down, in which I slowly and steadily bring my heart rate 3 or 4 BPM under my aerobic threshold. Every warm-up, I notice the same thing: my heart rate oscillates its way up to MAF. It doesn’t climb steadily. Even once I do get close to MAF, it keeps oscillating. It goes up and down some 4 heart beats every 30 seconds or so, meaning that if I want to stay under MAF (which for me is 148) I have to stick with 143. As a perfectionist, I always try to iron these things out. Maybe it’s fine for the heart rate to oscillate as long as it remains under MAF. But it’s still important to consider what oscillations mean. It means that metabolic work (and my speed) is rising and falling continually, when in theory we want to stay at the same metabolic output. Maybe I’m overthinking this far and away, but to me this seems like a car lurching down the highway when a few tweaks to the engine would be all that’s needed to create a smoother ride. Almost by accident, that is exactly what i did. It had been an uncharacteristically bad run: I went out after an hour of having eaten, and I just didn’t want to take my heart rate up there. I did my warm-up, and then dropped back down to 20 under MAF. I just felt like jogging. As the minutes passed, my heart rate—and my speed—slowly began to increase, at a rate of about one beat per minute. And like that, over the next 20 minutes, I slowly approached MAF. My heart rate came to within 1 BPM, and for the next 40-45 minutes, held constant. Today’s run was exceptional: I had far better joint stacking. It was extremely easy to keep my breathing in sync with my steps—three steps to an exhale and two to an inhale—and my breathing was also deeper than usual. The experience of running was one of incredibly little stress. When I did get up to MAF speed, I was faster by a full 15 seconds per mile. And two hours after the run, I was full of energy, and my leg muscles, instead of feeling empty, felt warm and fuzzy. I’m not kidding. But this makes perfect sense to me: calibration, not raw power, is the primary source of performance. Think of a 1000-horsepower engine with a timing belt that’s just a tiny bit loose. It can’t express a bit of that power. Think of that same engine attached to a gear box with all the wrong ratios, or mounted on a car whose tires are too pressurized. When that engine expresses all of its power, that car is going sideways. Too often, as athletes and fitness enthusiasts we try to add horsepower when we should be checking the timing belt, or changing the stiffness of our valve springs. I think that in today’s workout—which feels like the highest-quality workout of my life—I enabled my body to focus on the small stuff . . . and get it right. I’m willing to bet that this very long, very easy warm-up, which “sacrificed” time spent training at a higher intensity, was a central part of it. And I expect my bet to pay dividends in speed. UPDATE: On Saturday I had an even more protracted warm-up. My speed increased by yet another 20 sec/mile. High-intensity fitness culture, explained in systems: Physiology, evolution, overtraining in ultrarunners, and what it means for the rest of us. In the modern approach to training and fitness, the idea that you should (or need to) train at a low intensity is utterly neglected. This neglect is a huge problem. It benefits the few, and harms the many. And even when this philosophy works, it only does so up to a point. A recent article in Outside Magazine bit into this issue with great abandon. The Outside article discussed the extreme example: Overtraining Syndrome (OTS) in ultrarunners. Many elite ultrarunners have become seriously overtrained, finding that their legendary competitive and running ability evaporates almost overnight. And we see this sort of thing across the board: in crossfitters who get exertional rhabdo; in recreational runners that start too hard. But why does this happen? Our present fitness culture has an extremely damaging “more is better” and “no pain, no gain” mentality. If your favorite sport is HIIT or CrossFit, you’re prompted to increase the intensity, to “feel the burn,” and to “not feel your legs after leg day.” You name it, it’s out there. If your favorite sport is running, everything around you tells you to collect miles like they were baseball cards—the more the better. The problem is this: whether you’re an elite ultraunner or someone who is just looking to shed some pounds, the amount (or type) of training that society pushes you towards typically means a lot of stress. It’s not that you won’t get quick results with that high-intensity training program (or by going out and clocking as many miles as you can). It’s that in doing this, a majority of people cross a stress threshold beyond which it’s impossible to keep these gains. It happens to Joe Smith at the gym, and it happens to the ultrarunner. But in order to understand why it happens (and why you can’t cheat your way around it) we have to discuss a critically important biological system known as the Hypothalamic-Pituitary-Adrenal, or HPA axis. The HPA axis is the system that creates the autonomic stress response (ASR)—which kicks up the organism’s stress levels (think: alertness) in order to survive a challenge to its existence. 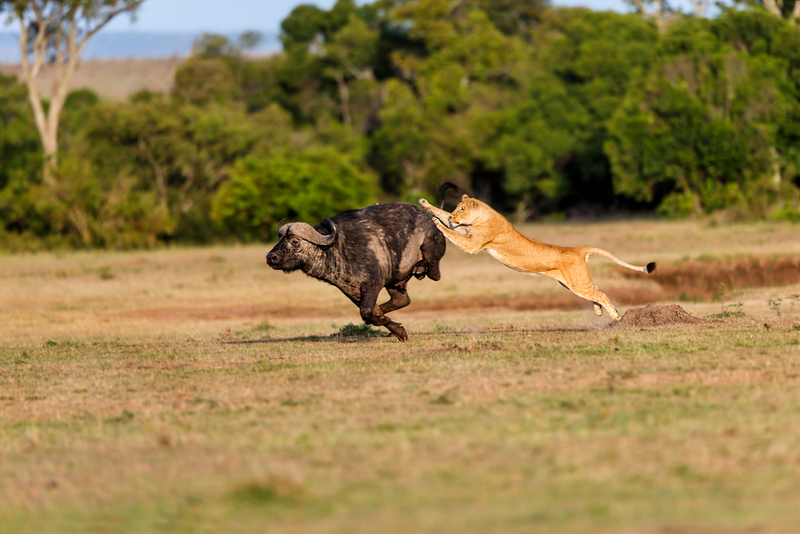 Let’s put this in a real-world example: alertness alone isn’t enough for an antelope to escape a lioness. There are two more components to ASR: First, the antelope’s heart rate has to go through the roof in order to bring a high volume of blood to the muscles. Second, the antelope’s anaerobic energy system—which burns sugar without the presence of oxygen, kicks in. There’s another energy system available to the antelope: the aerobic energy system. It burns a much more plentiful resource—fats—but it takes some time. The fats have to be broken down into sugar, transported through the bloodstream to the muscle fibers, and combined with oxygen inside the mitochondria, before they can be converted into energy. Typically, it takes the aerobic system 15 minutes to get to full burn. But the antelope doesn’t have 15 minutes. It doesn’t even have a few seconds for the initial gulp of oxygen to reach the muscles through the bloodstream. There’s a lioness charging towards it at 40 mph. It needs energy now. Or towards a water buffalo. Stress, a high heart rate, and the anaerobic system are hardwired together in every animal. This wiring has to be absolutely reliable. If it wasn’t—if, given certain conditions, you could get a high heart rate and stress but no spike in anaerobic activity—you will die. As far as your body is concerned, in a “real-world scenario” the price for not having these three things occur together every time, with utter certainty, is death. That’s what your body is thinking—thanks to your HPA axis—every time you get too stressed. Your HPA axis has to assume that there’s an imminent threat to your life, and make all of your internal systems react accordingly. If not, you will die. The anaerobic system takes over to ensure the immediate survival of the organism. It doesn’t just happen to burn the fuel we use in the short term (sugar). We are wired so that when our bodies are thinking and acting in the short-term (that is, prioritizing escape from a threat over long-term health) we use the anaerobic system. On the other hand, when our bodies are behaving with the long-term in mind, we use the aerobic system. In the long-term, it doesn’t matter if all the energy isn’t available right now—we’re not running away from anything. On top of that, we have fats, which is a more reliable and plentiful energy source. Sure, it takes a little bit more time to get energy from fats than from sugar, but time is something we have. But that’s not all: there are reasons to NOT use the anaerobic system in the long-term. Burning sugar without the presence of oxygen wears down the engine: it accumulates protons—hydrogen ions (H+)—which cause the body’s pH to fall, becoming more acidic. (The idea that lactate is the culprit of muscle acidification is a misconception: the presence of lactate predicts, rather than causes, proton-based acidosis in the body). In the short-term, the antelope’s body doesn’t care about its pH balance. If it doesn’t move, NOW, that lioness will take it down. The temporary acidification of the body is a small price to pay for escape. If everything goes as planned, 45 seconds from now, the antelope will have a chance to calm down. Its stress levels will drop, it’s heart rate will slow down, and a powerful aerobic base will kick in and all the lactate will get churned through the muscle mitochondria and converted into more energy. The proton build-up that happened during the chase will be quickly negated. In that process, a final acidic by-product will come out in a form that the body is designed to quickly and competently expel: CO2. As soon as the body’s short-term survival has been secured, and it starts thinking in the long-term, it uses its aerobic system. But if you are under chronic stress, your body never gets a chance to think in the long-term. Remember that stress, an elevated heart rate, and anaerobic function cannot be untied. If you are under stress all the time (even if it’s work stress), you’ll have at least some anaerobic function. Your body will be burning more sugar and less fat. As you use the aerobic system less and less, it will grow less inclined (and less capable) of fueling your daily activities with fat. You’ll have to rely on dietary sugar to keep your energy levels up. You’ll burn even less fat. You’ll slowly and steadily gain weight. But your body will also have a higher proton concentration than it should. It’ll remain more acidic. You’ll wear it down, putting yourself at risk of chronic disease. Just look at how this snowballs. The media (and your peers) are kind enough to pelt you with exercise programs that promise quick, short-term gains! You can see where this is going. You’re piling acute stress on top of chronic stress. Your problem wasn’t the excess fat itself: it was that your long-term energy system—the aerobic system—was compromised. And those quick, short-term gains that you’re promised? You might get them, but at the cost of keeping them. Yet again, you’re using the short-term energy system. Yet again, you’re training your body to think in the short-term. The energy system that is responsible for your body’s long-term upkeep is incompetent. By definition, you’ll be unable to maintain that level of activity in the long-term. You’ll lose those short-term gains. The problem isn’t that you’re flaky, or that you’re not an athletic person, or that you’re not determined. No amount of discipline or determination will be able to overcome the fundamental problem: that you trained for the short-term instead of the long-term. 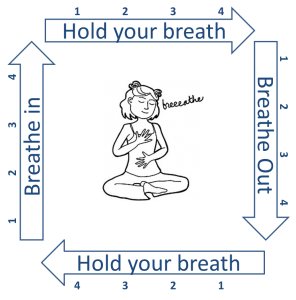 4-count breathing: An exercise for runners, meditators, commandos, and everyone else.